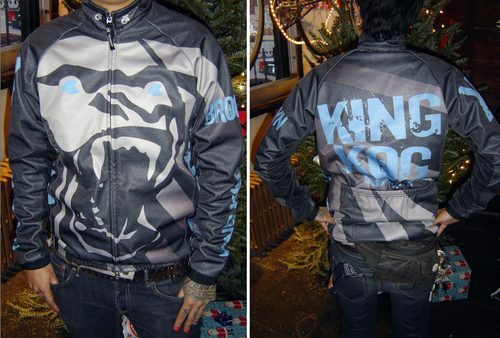 King Kog brought back last year’s classic winter jersey in a new colorway. Instead of the neon pink, they decided on a blue accent. Looks really nice. Knowing the durability and fit of last one, this is sure to sell out. Head over to their shop today, or give them a call to order one.